As part of his sabbatical in 2011, Associate Professor of Religion Chad Bauman decided to delve into Hindu-Christian violence in India and why Pentecostal evangelists were disproportionately targeted. He took two trips to India and talked to about 150 people—some who were victims of violence, others who are prominent critics of Christianity. Initially, Bauman planned to write one book, with a small section on Pentecostalism. But his research yielded so much information that one book became two. 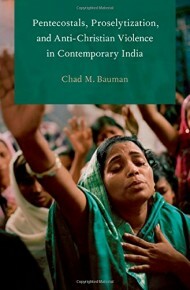 The first, Pentecostals, Proselytization, and Anti-Christian Violence in Contemporary India, is available now. Evangelical and more conservative Christians feel they have an obligation to spread their faith, Bauman said. There’s not much room for growth in the United States, Europe, or even Latin America. So these days, many evangelists target the largely non-Christian countries of Asia and Africa. India gets targeted because it’s massive—1 billion people—and because it has a large percentage of the world’s predominantly non-Christian population. In addition, India’s traditional and popular religion, Hinduism, has proven resistant to the incursion of other religions. “I think many Christian groups take that as an affront or a challenge to their own faith,” Bauman said. Another factor that makes India attractive to missionaries, Bauman said, are the Dalit, or lower-caste communities in India, who feel somewhat marginalized within the Hindu fold. Many missionaries think the Dalits are ripe for attracting to Christianity. Bauman said Christians are seen by some of the more conservative elements of Indian society as a threat to tolerance and secular society “because they don’t respect other people’s faiths.” The result has been violence. “Christians are seen to be intolerant,” he said, “and so the question is: To what extent can Indian society tolerate these aggressively evangelistic Christians before the secular fabric of the nation falls apart? 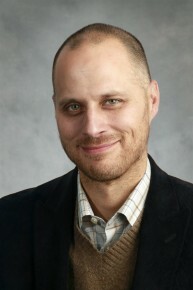 Bauman said his second book on this subject will provide a history of Christianity in India through the lens of conflict, how the conflict developed, and how it came to be that Christians were seen as traitors and not fully Indian, even though there have been Christians in India since at least the 4th century. Publication of that book is probably at least a year away. In putting together Pentecostals, Proselytization, and Anti-Christian Violence in Contemporary India, Bauman found himself involved not only in India’s history but a little of Butler’s too. 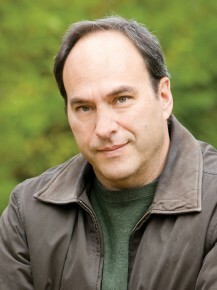 In looking for an image for the cover, he came across the work of National Geographic photographer Lynn Johnson. He contacted her about using her images and found out that she knew Butler’s campus well—she’s the daughter of former University President Jack Johnson. The cover of Bauman’s book is a picture she took. Deep in Kalchini, India, where cars are sparse and morning traffic consists of livestock, dogs, and locals on bikes, Ankur Gupta would make a weekly trip to an Internet café that had the only connection to the worldwide web in a three-hour-plus radius. Upon arriving, he sat down on a bench and opened up his laptop computer. Some local children began to trickle over, crowding behind him to get a clear view of the screen. Although on sabbatical for the semester, Gupta, Associate Professor of Computer Science and Software Engineering, couldn’t pass up the opportunity to share some computer programming knowledge with the curious, wide-eyed children. “There were 12 to 15 kids looking over my shoulder, just trying to figure out what the heck I was doing,” he said. Through what he called plain coincidence, Gupta—who had gone to India to see his family—ended up spending an afternoon each week of his almost two-month visit teaching computer programming to local children. Gupta spoke in Hindi, the children primarily spoke in Bengali, and all computer language was in English. The triple language barrier was tough, but not impossible. Hindi is an ancient language, and computer terminology doesn’t always translate, but Gupta found ways to explain the concepts so the children could understand. As the children memorized his computer code and latched onto the logic behind programming, Gupta said he noticed a shared revelation among his students—the world is boundless and up for grabs. Before that, they were confined to a small town in West Bengal that Gupta described as a short, one-lane road lined with shops crammed in rows. Now, children who spend their days working on farms or shops connected to the area’s booming tea industry saw opportunities in fields they didn’t know even existed. It was this that Gupta called his greatest contribution to the children of Kalchini. A teacher through and through, he said he prized the opportunity to open and inspire young minds. 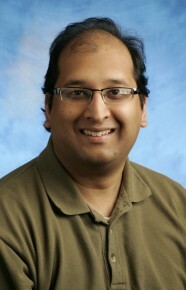 Computer Science Professor Ankur Gupta found himself teaching computer coding to young Indian children. You thought you knew Huck Finn. Andy Levy is about to change your thinking. 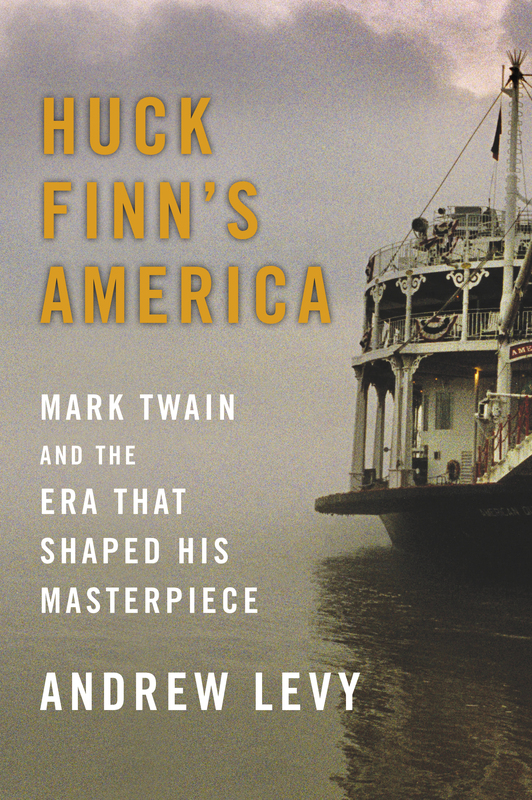 In Levy’s new book, Huck Finn’s America: Mark Twain and the Era That Shaped His Masterpiece ($25, Simon & Schuster), Butler University’s Edna Cooper Chair in English argues that contemporary readers misunderstand Twain’s classic: It is neither a carefree adventure story for children nor a serious novel about race relations. 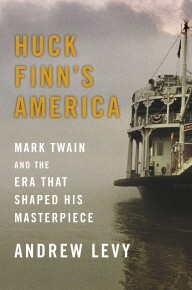 Instead, Levy said, Huck Finn—or its full title, The Adventures of Huckleberry Finn—was written at a time when Americans were nervous about youth violence and “uncivilized” bad boys, and a debate was raging about education, popular culture, and responsible parenting—one very similar, Levy notes, to current concerns. And on matters of race, the book is neither the moral exemplar that became the most often taught book in American public schools, nor the "racist" text that is among the most often banned—but a sly, conflicted fable that tells us more about persistent patterns of inequality and cultural appropriation than civil rights. Levy noted, for example, that in the time of Twain and Huck Finn, one of the major issues was unequal justice for blacks, who were more likely to be thrown in jail for trivial offenses or mistreated or watched more closely by police. Similarly, the United States of the 1880s also worried that popular culture was too violent, that standardized testing put too much pressure on students, and that many children were losing touch with nature and not getting enough exercise. Levy’s book is painstakingly researched. He bought a microfilm machine for home use, and he credits Fulfillment Associate Susan Berger in the Irwin Library with helping him get access to The New Orleans Picayune and The Nashville Daily American newspaper archives. He scoured resources at the Library of Congress, as well as Howard , Virginia, and Berkeley universities. The result: The 368-page book includes more than 100 pages of endnotes.